"Are those cores weighing you down," ReCore's antagonist asks toward the end of the game. Whether or not the developers realize it, it's an apt bit of meta commentary. 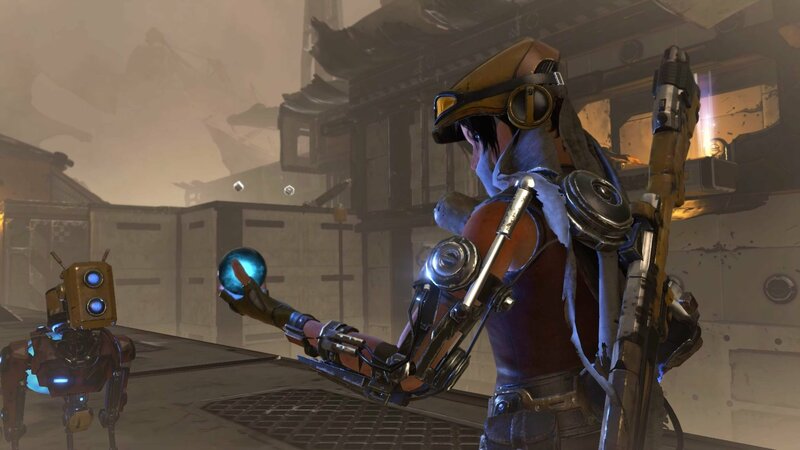 ReCore is brimming with ideas -- some great and some not -- and their collective heft pulls everything down. ReCore is a prime example of what happens when a game is built upon a solid foundation but is marred by bad design. For a while, that foundation holds steady. Then, it starts to show some cracks. Eventually, it all crumbles. At least that crumbling is thematically consistent with what's happening in ReCore's universe. Earth took a turn for the worse, so mankind has started a terraformation project on New Eden in hopes of making it habitable some day. Protagonist Joule Adams wakes up from cryosleep to find that it all went awry. The machines are malfunctioning and she's perhaps the only human left. The story deals in grand concepts. On a macro level, it's about Joule's quest to figure out exactly why this is all happening. Sabotage, murder, rebellion -- these are all obvious motifs. The cinematics and the dialogue all appropriately convey a dire situation, one that is spiraling out of control. But, the minute-to-minute of ReCore amounts to hardly anything more than fetch quests. Almost all progress is walled off by collecting a few of something to move forward. "Find two cores to open this door." "Collect the four robot parts to learn to fly." 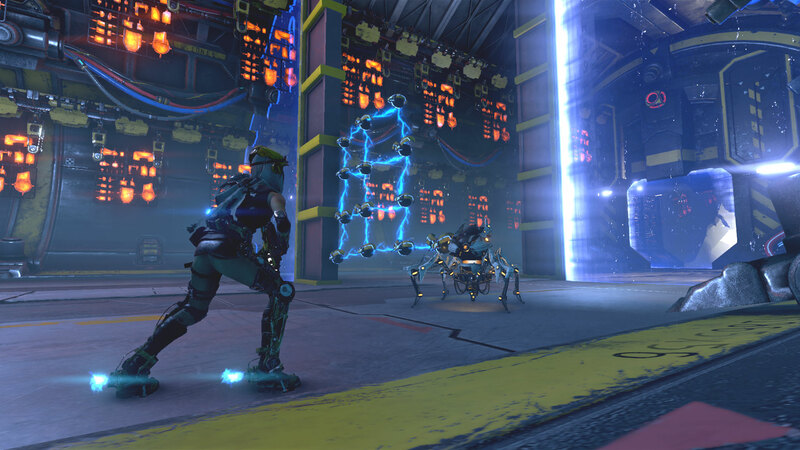 ReCore quickly falls into a repetitive gameplay loop that it never really breaks away from. More importantly, that loop never does the narrative justice. All of this collecting is propelled by two main systems: platforming and combat. 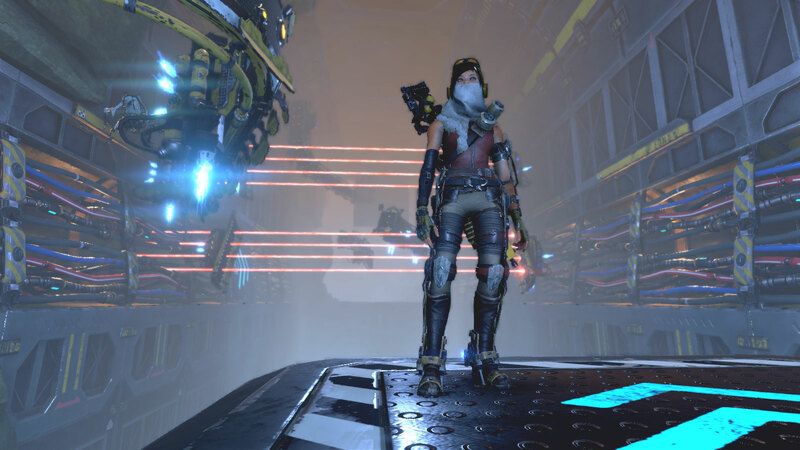 The platforming is one of ReCore's brightest-shining mechanics. At all times, Joule has a double jump and a forward dash. Despite covering long distances and leaping to moving targets, Joule is always fantastically easy to control. Landing while carrying a lot of momentum surprisingly works more often than not. The combat is similarly great, but only at first. 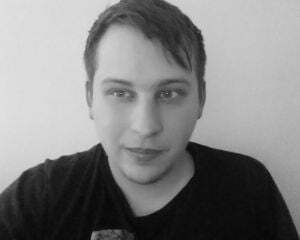 This is a third-person shooter with a mild puzzle slant. The attacking robots are different colors. With a press of a directional button, Joule's rifle matches that color to deal extra damage. She also has a grappling hook that can rip the cores out of enemies that are low on health via a tug-of-war minigame. Initially, this is a treat. But, it unfortunately wears out its welcome quickly. ReCore's encounters never truly evolve. As the game progresses, it's the same battles with robots who are higher level and do more damage, but you are also higher level and do more damage. Compounding matters, combat is extremely frequent. It becomes tedious long before the game's over. Those are the important systems, but ReCore's full of plenty others that never fully pan out. Joule is accompanied by robots that she befriends, rescues, or builds along her journey. They can be used to traverse the environment or to assist in combat. They're invaluable and are very much a main part of the game. Back home, Joule can use resources on her robot pals. Since there's no control over her upgrade path, this is the only example of ReCore offering any agency with regard to improvement. Some options are: Creating new body parts for the robots, equipping a mashup of those limbs, passively boosting them by upgrading their cores, and combining the likes of many bad gaskets to make fewer better gaskets. But (and I feel like I'm saying that a lot), it really never amounts to much. Not upgrading the robots seems to work just fine. They're still efficient enough in combat. Maybe they'd be slightly better, but there's no way to compare the two scenarios. You just have to trust that they're probably marginally improved. Similarly, there's the ability to switch cores out between the robots. For instance, Mack the canine's core could be put in Duncan the ape, and then the ape would be Mack. ReCore never explains this and it's extremely jarring. I thought I hit a game-breaking bug upon earning my fourth robot because Duncan was suddenly someone else and I couldn't equip him anymore. It's clear that this was meant to be a much bigger emphasis for ReCore, but that the idea was mostly scrapped somewhere along the way. All of these systems could make for a tolerable, if not bloated, game, but the developers' wanton disregard for the audience's time is a deal-breaker (independent of the fact that load times can take upward of two minutes on Xbox One). 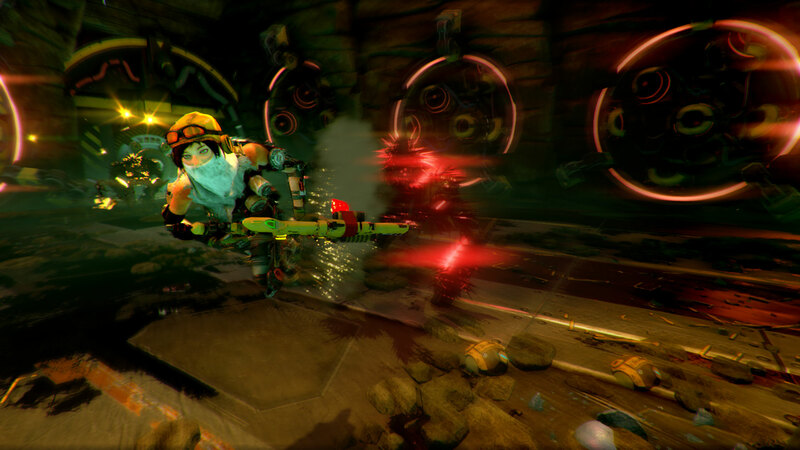 For the most part, ReCore progresses the player at a consistent rate. Simply playing the critical path levels Joule up in a way that's manageable with the challenges that will soon be presented. There are some instances of minor grinding, but it's mostly fine. Then, once ReCore initiates its end-game events, the developers send you out into the open world several separate times to finish the story. Each trip requires finding five more Prismatic Cores, the game's most valuable collectible. Getting one Prismatic Core is a noteworthy event. Suddenly, ReCore wants you to find 40 of them total (Correction: 45). It's a ridiculous number when you consider that the player was positioned to gather maybe 15 to 20 of them to that point, often through story events.